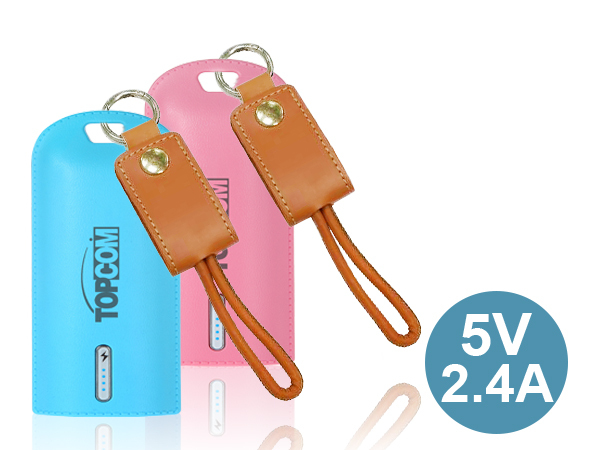 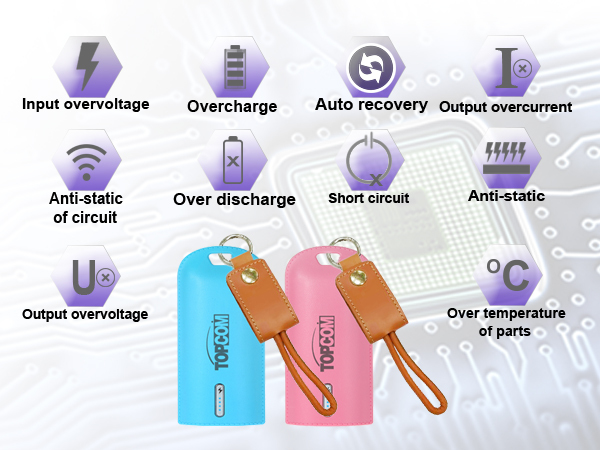 Topcom's PB-S9-Leather is a 10050mAh Li-ion battery's power bank, DC 5V 2.4A output offer quick charging the devices requiring a DC5V input. 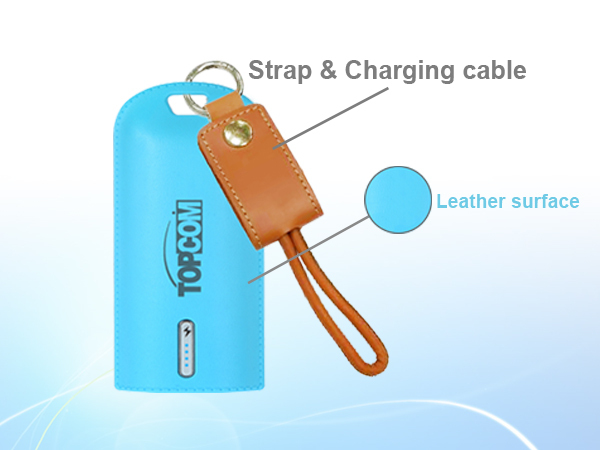 Whether you are on a business trip, working outdoors, Topcom's PB-S9-Leather power bank is your best choose. 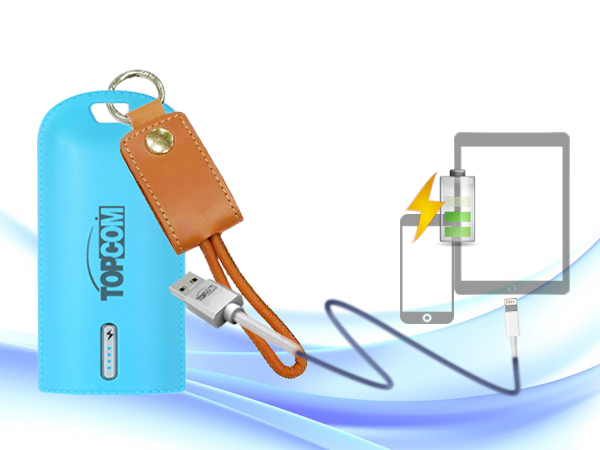 Whether you are on a climbing, camping, working outdoors, Topcom's PB-S9-Leather power bank is your best choose. 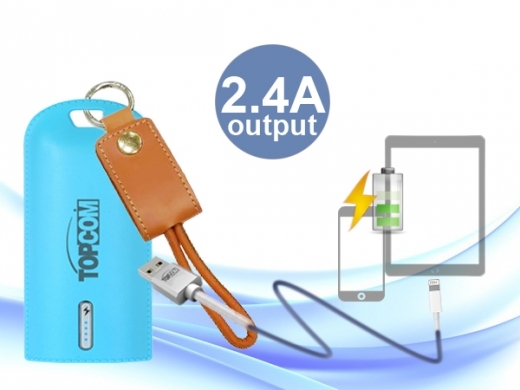 It is capable of recharging DC 5V input devices, such as a smartphone or tablet, on the go to keep you working outdoors or during a power outage. 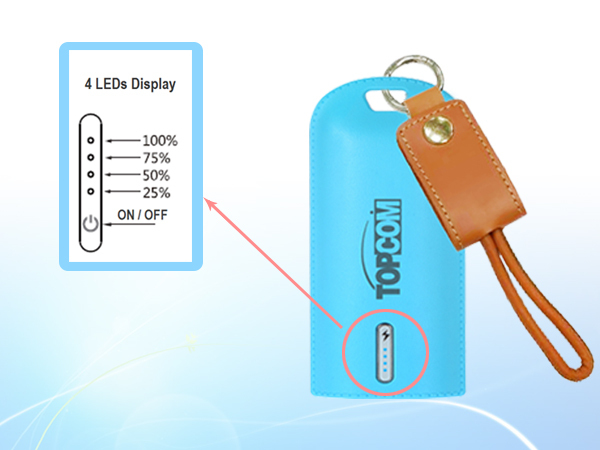 Topcom's PB-S9-Leather power bank with friendly interface design to simple and easy use, with smart LED battery indicator, easy to see the power and charging status. 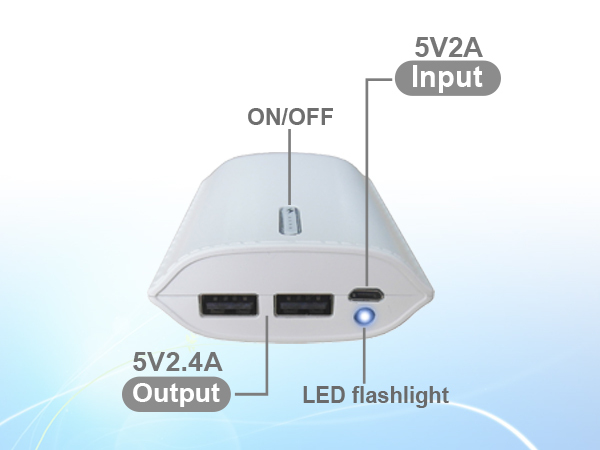 Comes with smart convenient LED flashlight for emergency lighting.